My local Try-n-Save has a kosher appy section, with assorted middle-eastern sidedish-type items such as eggplant in tomato sauce, "health salad" (a combination of essentially a Cole slaw mixture marinated in vinegar and spices, which tastes better than it sounds) and kasha varniskes (buckwheat groats with bow tie noodles and onions ... one year I'll post the recipe). 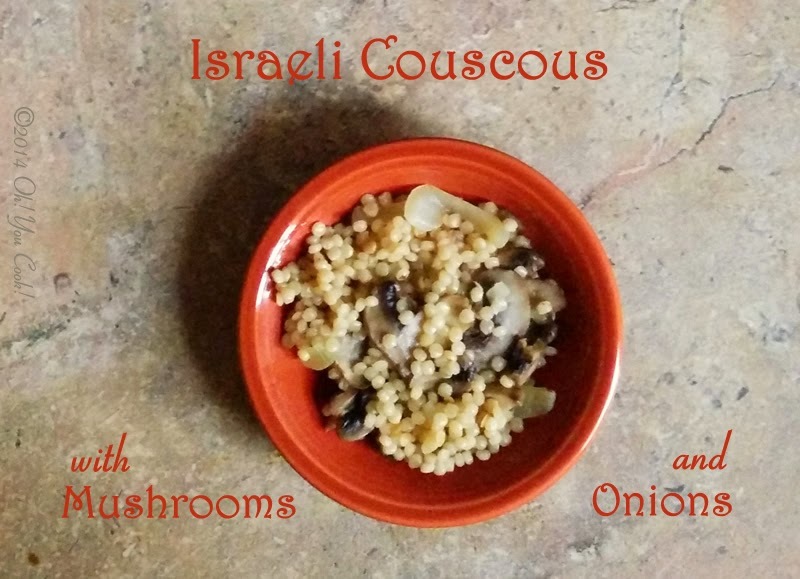 It also has my favorite: couscous with mushrooms and onions. 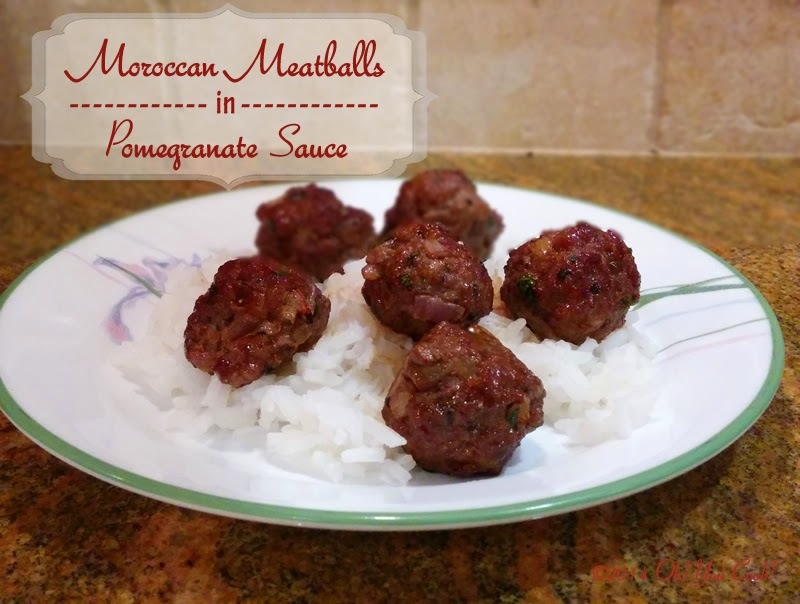 While surfing the 'net for new food ideas to serve in the sukkah, I fell over a Moroccan-style meatball recipe. It was made with ground lamb and the usual herbs and spices, but the accompanying sauce, made with pomegranate molasses, looked amazing!